When you get to a certain level in the film and television industry, certain things start to become standard. If you’re new to set, or a seasoned vet, you want to make sure you conduct yourself in the way expected. Today we’re going to talk to Brent, from Sharegrid, about how and why a professional cinematographer shot list their shoots. Why do professionals shot list? Whether you're shooting a web series, commercial, tv show, or movie, the industry standard is to come prepared. That means getting together with your production team and going scene by scene to create a shot list. Additional time spent on set can waste money and get talent and producers upset. A shot list ensures you go into the day with a plan and a clear mission. It also helps everyone understand what you're working toward. Who creates the shot list? As Brent states in his video, each shot list depends on the project and who's involved. Sometimes the director will make the shot list and hand it off to the cinematographer, and sometimes it's all the cinematographer's jobs. It's fair to say that on most shoots it's a collaboration of the two. The director and D.P. work in tandem to make sure the shots will be easy for the editor to assemble. They should communicate the point of view of the project and the tone. The best cinematography pulls the audience into the story. When you're shot listing there are lots of options to choose. You need to decide on the angle of the camera, the framing, and if there's going to be any movement. Will you need any additional equipment like a dolly? Or any extra hands on set like a focus puller? Each shot should be meticulously planned. It can help to use storyboards for inspiration as well. Prep saves you time and money on the shoot day. Luckily, StudioBinder makes collaboration easy. 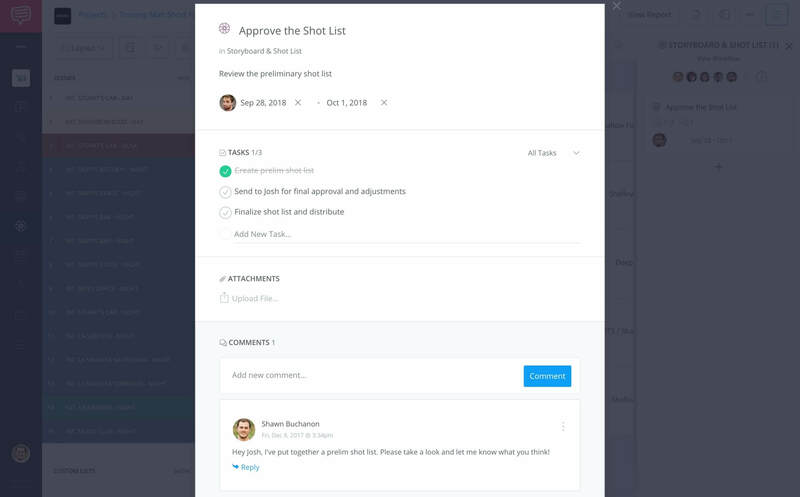 The director, D.P., and anyone else can send the shot list back and forth, and even add notes on the bottom to make suggestions. You can even add video links if you want to be inspired by other people's work. It's all done with the click of a button. Shot List: Gospel or Guideline? We know we just said it's important to stick to the plan, but like Brent mentioned in the video, it's okay to improvise. Some of the best shots of all time were picked up during rehearsals or when the cast and crew got creative. Planning is a necessity, but don't let that take away from the creativity of the moment. Filmmaking is flexibility. And you can look at your shot list as gospel or guideline. For example, if you're shooting a dance video, don't be afraid to go handheld and move the camera in a circular direction. Camera movement can add a lot to the story. Planned or not, it can be your best friend. 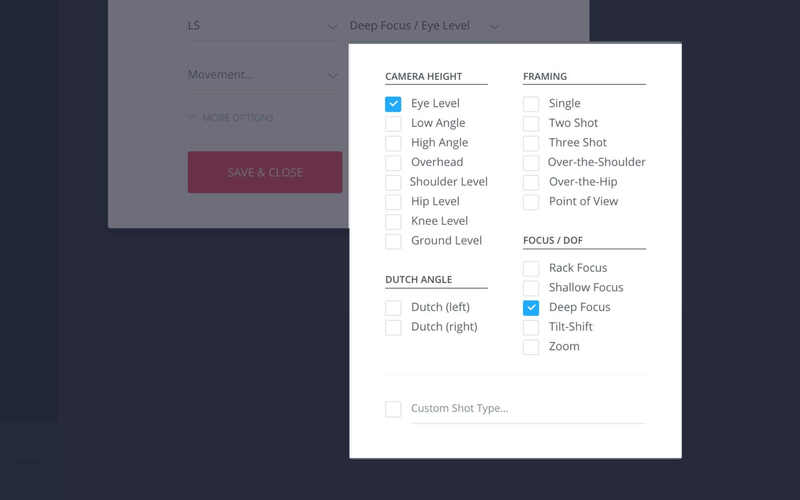 Now create your shot list! Now that you know the principals behind shot listing, it's time to make your own for your next shoot. It's free to create a shot list online and share with collaborators. After that, add images to turn it into storyboard to visualize your music video. Then you can spin-off a call sheet, and you're well on your way to producing a music video like a pro.